Thanks to Dr. Mauro Garcia-Montenegro, Hospital Dr. Guillermo Rawson (Argentina), for contributing this case. To contribute a Case of the Week, follow the guidelines on our Case of the Week page. (1) We continue to add more surveys to our Surveys and Buyers guide pages. Check out what is new in products and services for Pathologists. (2) We have now posted the top books sold at Amazon.com through PathologyOutlines.com, click here or on the Top Books link from the Books page. Buy your books through PathologyOutlines.com - we are the only place where you can see all the books that have been recently published! (3) Our Feature Page for August is Books & Journals, and highlights the publishers ARP Press, ASCP, CAP, LWW and WHO Press. It also contains an original short article, �Pathology Books and Journals: A Multidisciplinary Approach�, by Jaleh Mansouri, M.D. (4) Visit our Updates page to see what topics have been revised based on reviews or new images. 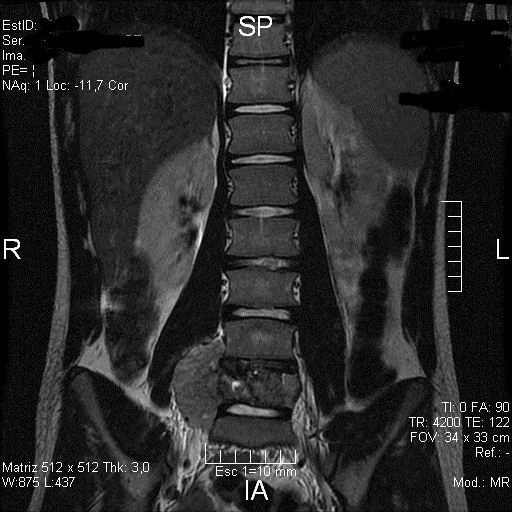 A 14 year old boy had a mass in the L5 vertebral body, with extension to the right paravertebral tissues, which was biopsied. 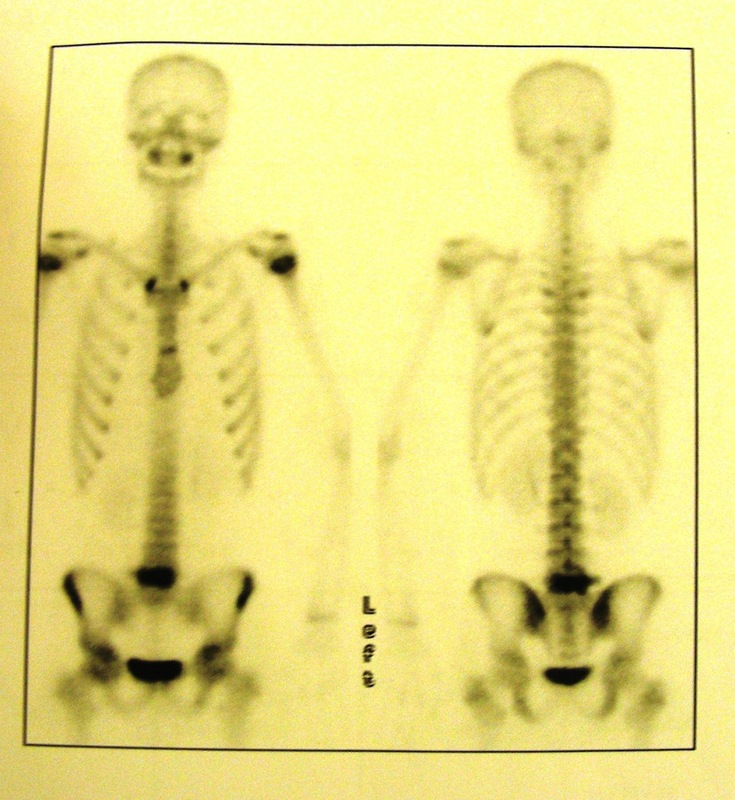 Bone scintigraphy shows a single hyperenhanced image at L5 with normal and symmetric uptake in hematopoietic areas. 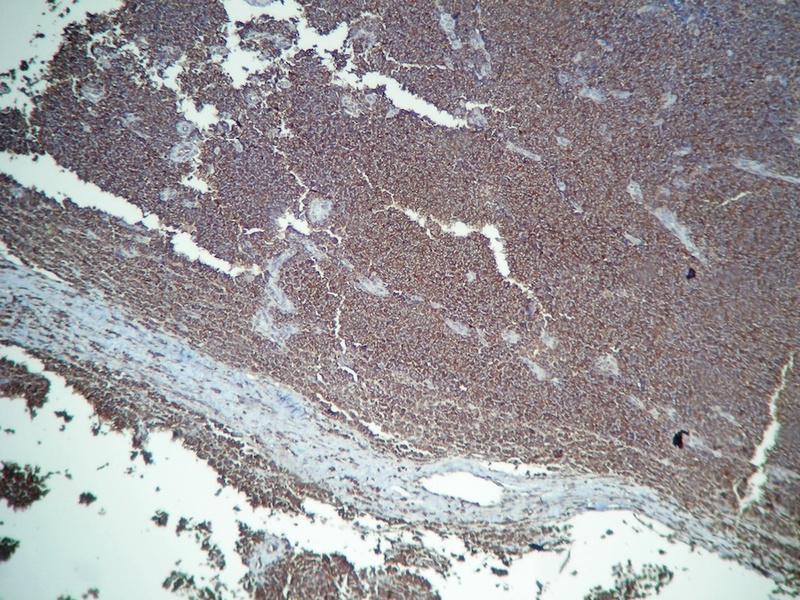 Stains include CD99 (positive and strong in membrane), NSE (positive), PAS (positive in cytoplasmic granules), vimentin (negative) and desmin (negative). 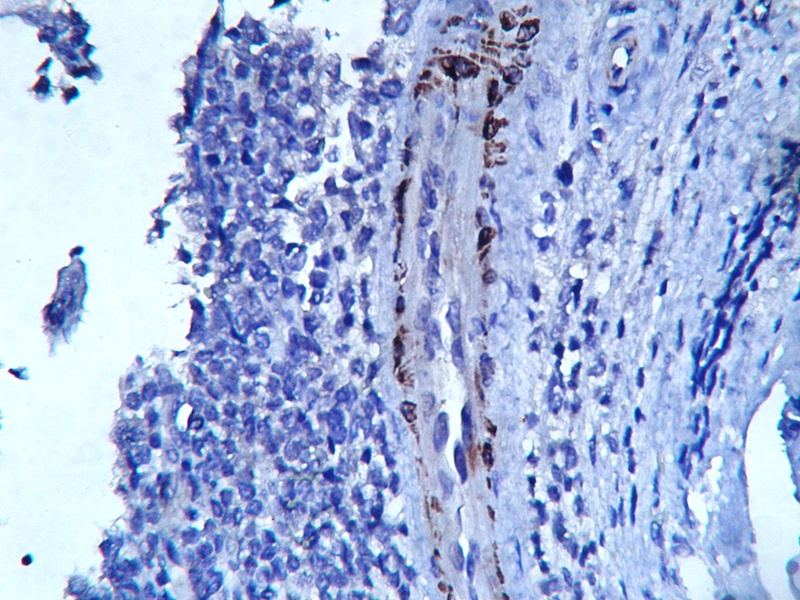 MyoD1 shows cytoplasmic staining, due to a cross reaction with an unknown antigen, which has been described in Ewing Sarcoma/PNET and neuroblastoma (Dabbs & Thompson: Diagnostic Immunohistochemistry 4th ed.). Fewer than 10% of Ewing tumors arise in the vertebrae. In a study of 33 cases, the median age at diagnosis was 13 years, and 64% were male (Med Pediatr Oncol 2001;37:30). Six patients had metastatic disease and 10 had tumors 8 cm or larger. Primary sites were sacral (13), thoracic (10), lumbar (8), and cervical (2) vertebrae. Pain and neurologic deficits were common. 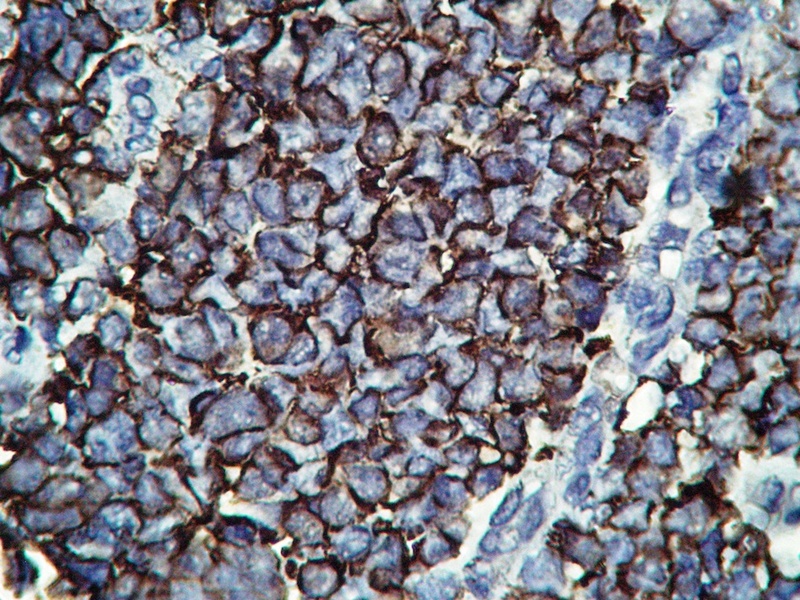 Histology shows sheets of small, round, uniform cells, 10-15 microns with scant clear cytoplasm, divided into irregular lobules by fibrous strands. 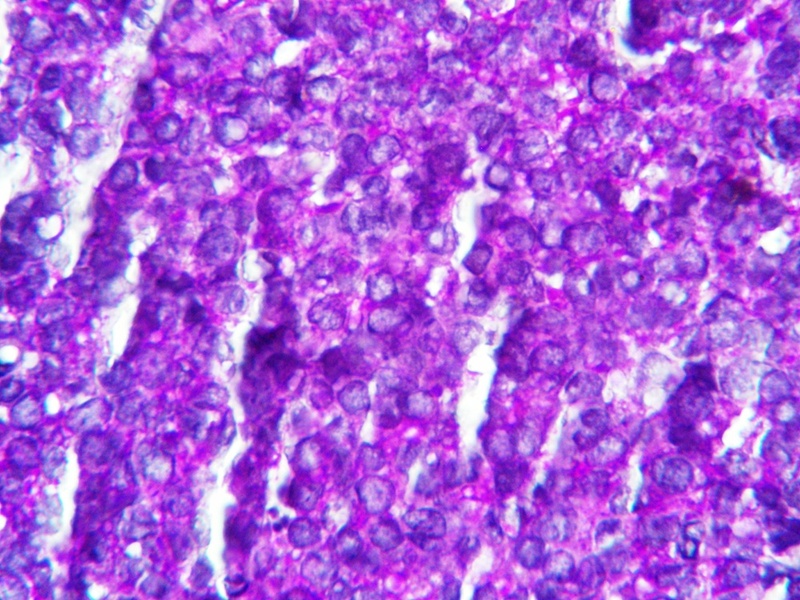 The nuclei are round with indentations and small nucleoli. 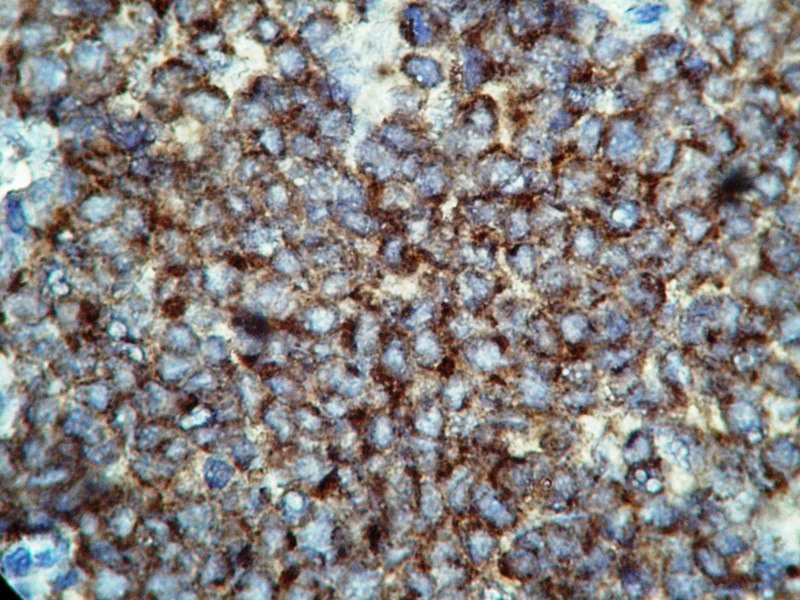 Homer-Wright rosettes (central fibrillary space) or pseudorosettes (cells arrange themselves around vessels) may be present (Bone-Ewing Sarcoma/PNET). 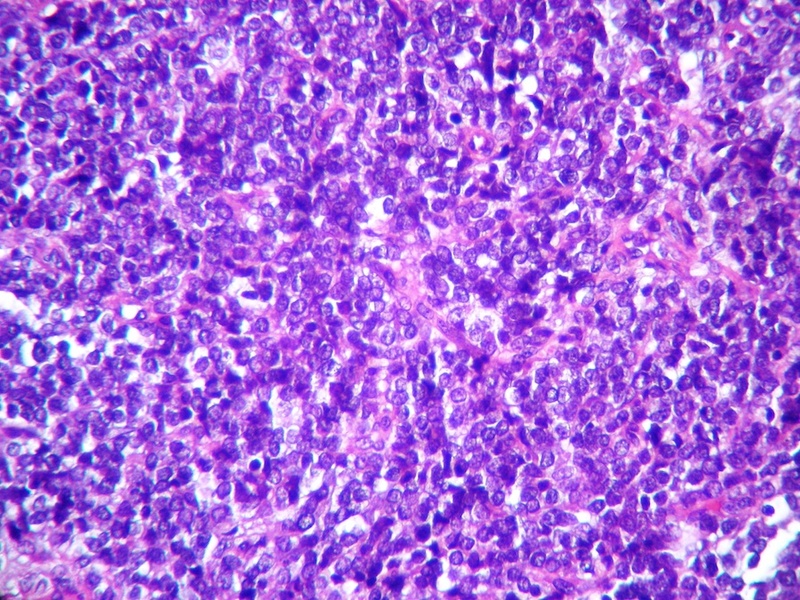 Metastatic neuroblastoma: patients younger than 5 years, primary should be evident. 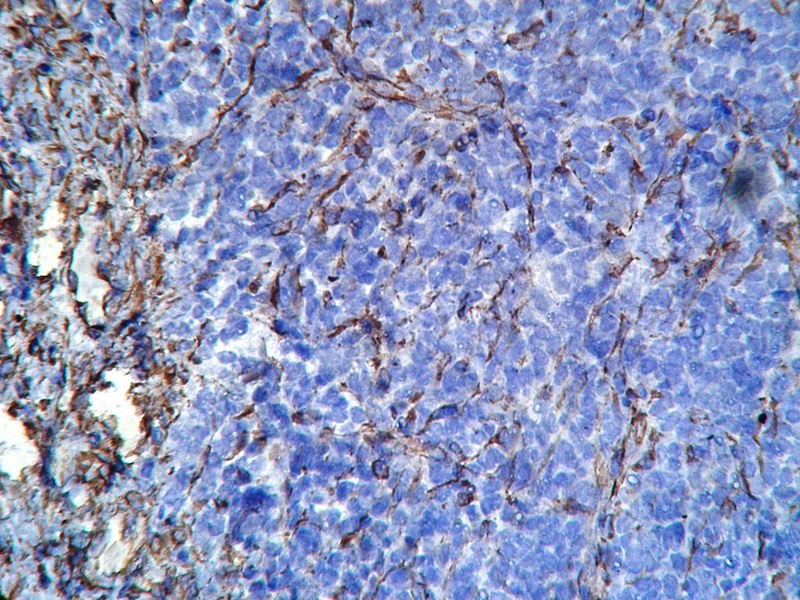 Most cases of Ewing sarcoma (85%) are due to t(11,22)(q24;q12), producing the EWS-FL1 fusion gene, a transactivator of the c-myc promoter. Treatment is combination chemotherapy and local radiotherapy, with a 5 year survival of 48% to 70% (Eur J Cancer 2013;49:1314), comparable to this tumor at other sites. 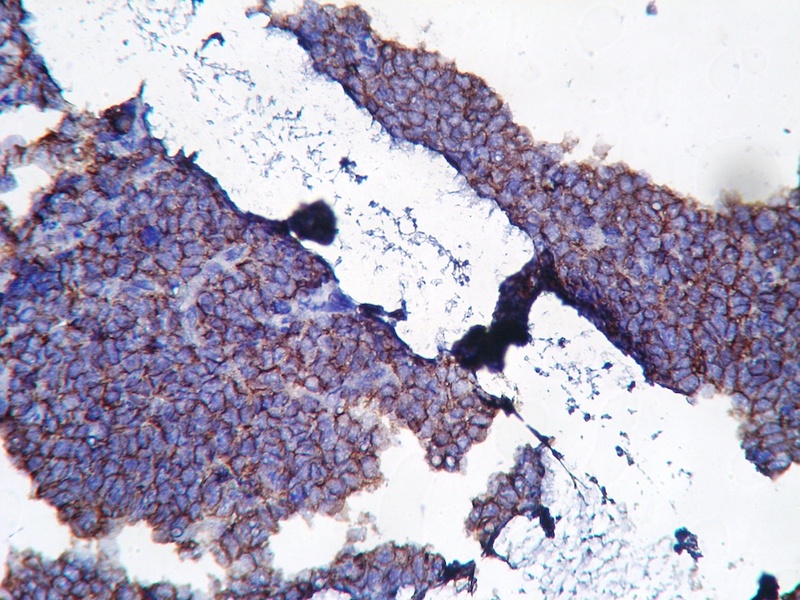 Most of the mortality is due to metastatic disease, which occurs in 30% (Case Rep Oncol Med 2012;2012:165289).